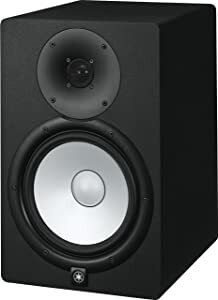 Studio monitors are critically important in recording because they let you hear exactly the recorded sound. However, even how pretty looking your studio monitor is, it will never sound really great and it can even destroy your entire project if what you have is – inaccurate. The amazing recording studio does not actually depend on incredible studio monitors. Music engineers need the appropriate one. This is how the size matters. If you just ignore the size then expect to have a really messy recording. Most studio operators only have limited amount of space. But limitation should never be the hindrance of completion. So, is the bigger really better? Don’t answer the question. It’s just a trick. Just bear in mind this: the size of studio monitor should correspond to the size of the room and your distance from it. It really makes no sense to use large monitor in a small room. Bigger is not always better but a broader frequency range with the same accuracy is a lot more helpful. There are many different sizes of studio monitors but there are also many different sizes of room as well. So, choose only the gear that matches your room really better. 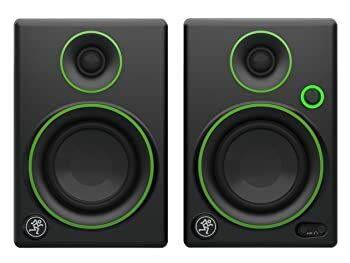 Most music producers choose to have a pair of near-field monitors. This kind of monitor needs to be placed in close to the mixer’s listening position. A five to eight inches speaker is typically considered to be a kind of near-field monitors because they are commonly measured by its cone size. If you choose to get the bigger speakers because you have a little bit bigger room then you should better have far-field studio monitors. The far-field studio monitors can be placed a little bit farer from the mixer’s position area. People always say to get the biggest speakers as possible as you can in order to get the better bass response. Unfortunately, that is not always a good idea. Yes, you can still have the eight-inch speakers or more in a bigger room but make sure you can afford it. The most important thing to consider second to the size of the room is your budget. Don’t forget to pay attention to your budget. Only crazy people spend money on a piece of gear now but then cry later because the budget is running out. Be smart and think twice first before deciding to purchase. Letting your hundreds of dollars out is great but if you only have a few of them is fine. Remember, you can still have great recording even if your budget seems to be critical. There are so many great manufacturers today that also offer great speakers in totally great prices. You just have to stretch your antenna for you to have the ability to easily detect those brilliant price points. Determining your budget first can help you avoid unnecessary repentances before it becomes too late. 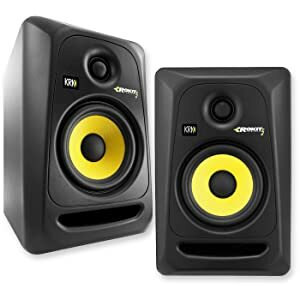 Currently, there are so many different studio monitors widely spread in the market worldwide. But despite that fact, there are still some of them that really shine; some of them have been the people’s ultimate choice because they really work better. We make a compilation of those highly rated studio monitors to help people gather ideas on what gear deserves exclusive attention. You now have the idea what the best studio monitors really like. Believe that you can make great music recordings. Don’t just focus on the size; pay more attention on your own desire, your room, the type of monitor you want and of course, what other people can tell about the product you love. Don’t forget to weigh things up. Choose wisely and record audio effectively.